David Wachsman is a world-renowned blockchain expert and thought leader. He is a regular speaker at the most highly recognized technology conferences around the world. Recently, David was featured on CNN International, CNN Money, and in New York Magazine. 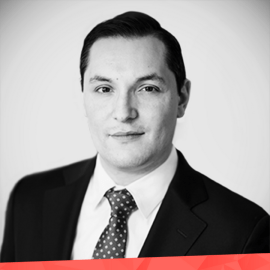 In late 2015, David founded Wachsman to provide professional public relations services to the rapidly growing financial technology industry with cryptocurrency and blockchain at its foundation. Wachsman has since become a global organization with more than 60 employees based in offices in New York City and Dublin. David and his team have represented and acted as communications advisors to many of the most indispensible organizations in blockchain, including Dash, Crypto Valley Association, Bitcoin Suisse AG, CoinDesk, IOHK, Lisk, Steemit, tZERO, Jaxx, and Coinsource. Before founding Wachsman, David led the day-to-day operations for a boutique public relations agency in Manhattan and held roles in advertising, political affairs, and biotechnology.